Offering an ideal family home this spacious semi detached villa is situated in a highly popular residential location with transport links and local amenities close at hand. The quiet cul de sac location has Primary & Secondary Schools with in a close proximity. View towards the River Clyde. Comprising of Welcoming Reception Hallway with large storage cupboard and storage under stairs, Laminate flooring throughout. Bright and spacious Lounge, large window looking onto rear garden and front facing window, Laminate flooring throughout, Modern family Dining Kitchen with ample storage unit in the form of wall and floor mounted, access onto enclosed rear garden. On the upper level there are Two good-sized Double Bedrooms one with built in storage cupboard. Family Bathroom with Three piece white bathroom suite, Electric shower and screen, tiling throughout. Two Storage cupboards, Access to loft storage space. Enclosed rear garden which is laid mainly to lawn with access to side garden and the front has Decked Patio area. There is an extensive communal residents car parking located to the side of property. 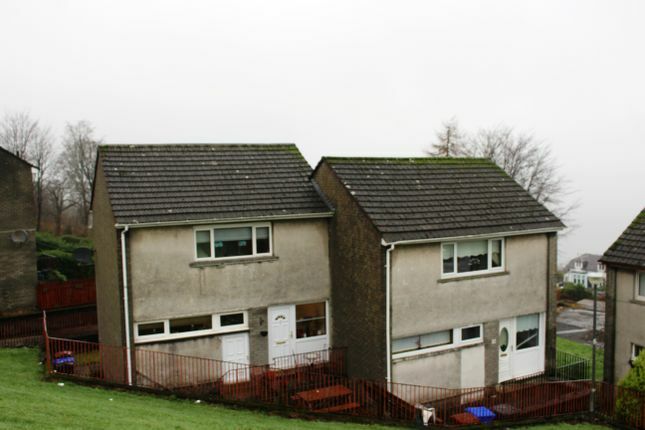 The specification of this property includes Gas Central Heating and Double Glazing. Early viewing is highly recommended to fully appreciate both the property and the locale on offer. From our office in John Wood Street turn left onto Fore Street, carry along onto Shore Street turn left onto Highholm Avenue continue up along Ardmore Road turn left onto Cardross Road and then turn left onto Benview Avenue number 1 lies on the left hand side. Property Misdescription act 1991: Whilst we have made every effort to ensure that the sizes shown are accurate they should be used as a guide, please do not use when purchasing floor or wall-coverings. Do you have a property to sell? Brian Harkins Financial Services can offer you a free valuation and advice on the sale of your present property along with all other financial advice such as mortgages. Should this be of interest Please call and ask for Denise Nelson .